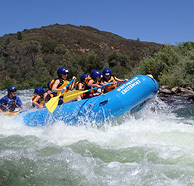 School group whitewater rafting, outings and adventures on the American river. There is no better way to get everyone together for a new school year, inspire teamwork or learn on an outdoor adventure in some of the most beautiful places in California. Our guided white water rafting trips, range from mild to wild, from 1/2 day to 3 day, and we have been doing this for almost 40 years. With our own private camp area right on the banks of the South Fork of the American river, we can offer any type of trip that achieves your goals. Our trips encourage participation, inspire confidence and challenge kids to explore their full potential. Learn skills such as paddling, teamwork, confidence and leadership! All of our prices for School Group trips are reduced rates from our standard retail prices. 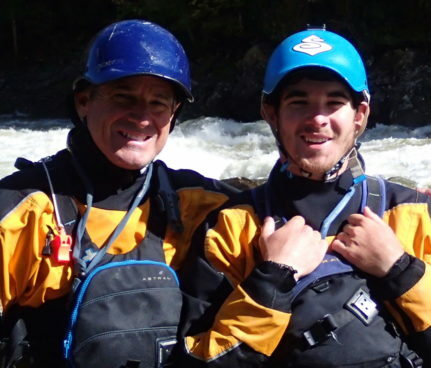 Our California youth rafting trips are 20-30% lower than our retail price. Our school program has been designed to make our adventures affordable and to give youth the opportunity to explore our natural world. 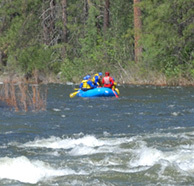 Join us for an exhilarating white water river rafting adventure on one of California premier rivers. This 21-mile stretch of river has more than 50 rapids, and is perfect for both first timers and veteran rafters. We offer two 1-day trips, the 14 mile 5 hour “GORGE” trip, and our “ WHOLE RIVER” trip that takes in the entire 21 miles of the South Fork. Both trips include lunch. If you’re looking for a longer trip that includes camping along the river, our “TWO DAY” trips might be just what you’re looking for. Enjoy with us 2 amazing days on the river. Your first day will be spent rafting the South Fork “Gorge Run”. 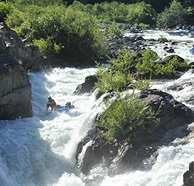 Day two will challenge you with the Class IV rapids of the Middle Fork. This trip includes rapids like “Kanaka Falls,” “Tunnel Chute,” “Chunder,” and the Class VI un-runnable “Ruck-a- Chucky Falls” (the guides will line the rafts over this 25’ waterfall while our guests walk around). This rafting trip includes 2 nights camping, 5 meals, and 2 days rafting.